Soft plastic mouth protectors or athletic guards. They are adapted to fit comfortably to the shape of the upper teeth. 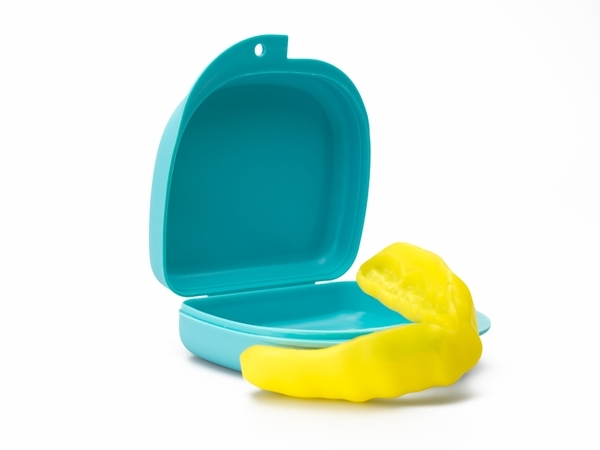 Mouthguards help in the prevention of oro-facial injuries during sporting and recreational activities. Properly-fitted mouthguards protect not just the teeth, but the lips, cheeks and tongue. Mouth guards protect children from concussions and jaw fractures, and hold top priority in sports. Most oral injuries occur when athletes are not wearing mouth protection. Please ask your dentist about fabrication of a custom fabricated mouthguard for maximum protection.